Awa Jinja Shrine is a small shrine in the end of the road turning to the left at the Deva Gate of Nakayama Hokekyoji Temple. 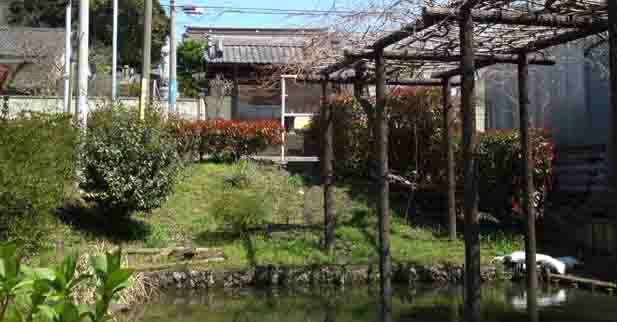 This small shrine is known as dedicating a 15 years old young samurai worrier, Hirotsugu Satomi died at the 2nd battle of Konodai in January 1564. People in Edo would feel very sad that Hirotsugu died as a teenager, so Edo Meisho Zue (a guide book introducing noted landmarks in Edo in Edo perio) introduced it. 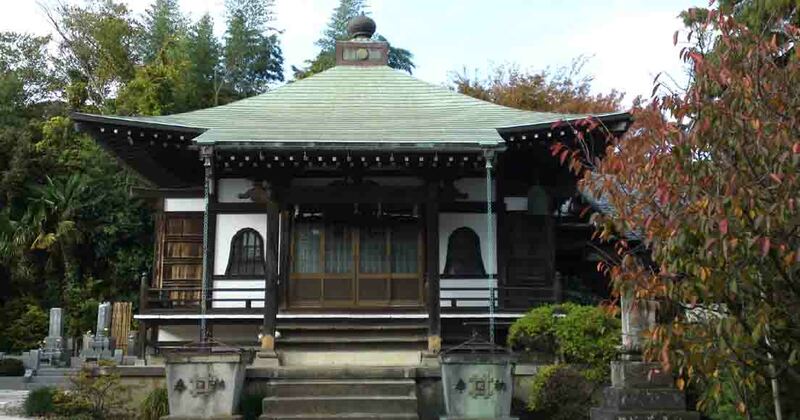 According to Katsushkaki, Awa Jinja Shrine is a grave of Hirotsugu Satomi and it was called Awa no Su Daimyojin since he was from Awa province and its name was after Suzaki Jinja Shirine there. And Katsushika Shiryaku introduced a saying of an old man lived in Nakayama, he said that the battle at Konodai was so ghastly that there were several small shrines dedicating the bushos and the samurais died at the battle in the areas between Konodai and Nakayama. 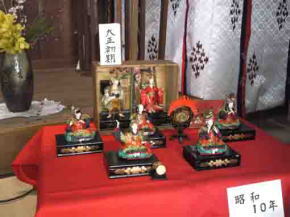 Besides, Hina Matsuri is held in Awa Jinja Shrine. 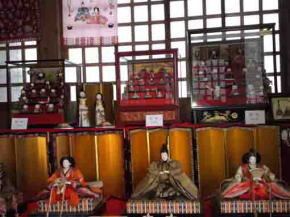 There are many Hina Ningyo Dalls beautifully decorated in the main hall, it is not what you see every day. 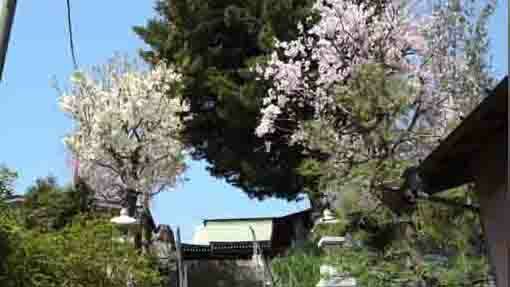 Why don't you Awa Jinja Shrine in Nakayama? 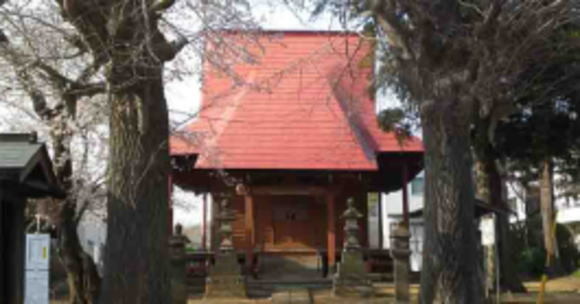 This shrine was called 'Awa no Su Myojin' or 'Awa no Su Shi' in some book published in Edo period. Edo Meisho Zue introduced with a drawing, it tells that it was called Awa Su Myojinsha Shrine on a hill called Ikeda in the north of Nakayama. 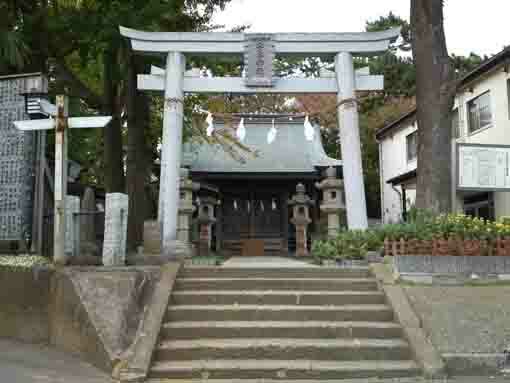 First, Awa Jinja Shrine was built in Sunahara in Nakayama (now Nakayama Elementary School standing), and it was moved to the Myokensha Srine dedicating Kunitokotachi no Mikoto to enshrine in the same land and in January 12th, 1909. 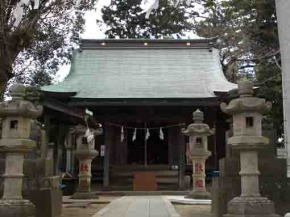 In 1915, Oomiya Daigongen and Sanno Daigongen in Nakayama areas were moved to enshrined the Shrine by the government ordinance. And Awa Jinja Shrine was finally reconstructed at the present place. 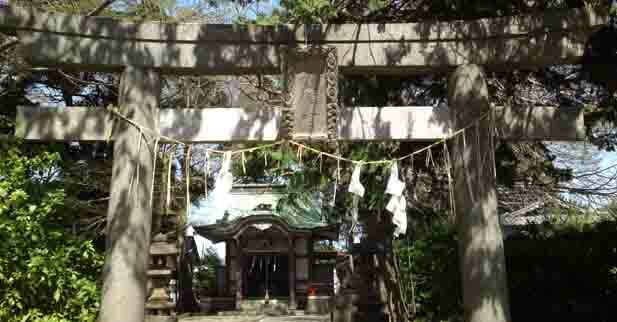 Awa Jinja Shrine is believed as the god of bringing good fortune, bringing up children and match making. 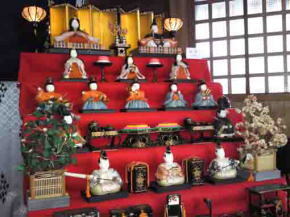 From Febraury 15th to March 3rd, Hina Matsuri Festival is held in Nakayama area annually, several landmarks in this area putting many Hina Ningyo dalls in them. 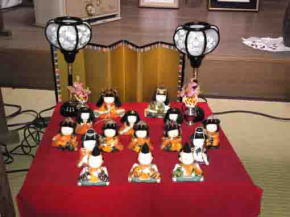 There are many hina ningyo dalls in the main hall of Awa Jinja Shrine. Some are very old, and some are made by a very skillful creator. It gives you a chance to see those dalls. If you have some spare time, please come and see them. Hirotsugu Satomi was a samurai worrier belonged to Satomi Family in Awa province. He was a son of Tadahiro Satomi. Hirotsugu Satomi was fighting at the battles between the Satomi and Hojo Clan in Odawara in Sengoku Period struggling for the supremacy of Kanto Region, it is called the 2nd Battle of Konodai in Januray 1564. It was his first campaign and he was 15 years old at that time. The first battle of the 2nd Battle broke out in January 7th and the Satomi won it. However, they were intoxicated by the victory, the Hojo surprisingly attacked to the Satomi in next morning while they were off the guards. As the result, the Hojo won the battles and gained the power. 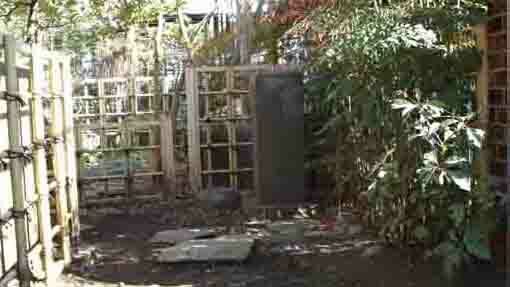 Several samurai worriers of the Satomi fled to Awa. Hirotsugu also rode on his horse to go homeland. But he was killed by Yasuyoshi Matsuda of the Hojo. According to Edo Meisho Zue, Yasuyoshi first hesitated to that since Hirotsugu was a childish young man. However, he did because thousands of the soldiers of the Hojo ran after him. After the battle, Yasuyoshi became a priest named Fusei for the repose of the young soldier soul. Moreover, Edo Meisho Zue introduced a story of the beginning of Awa Jinja Shrine in the local history book 'Katsushikaki'. 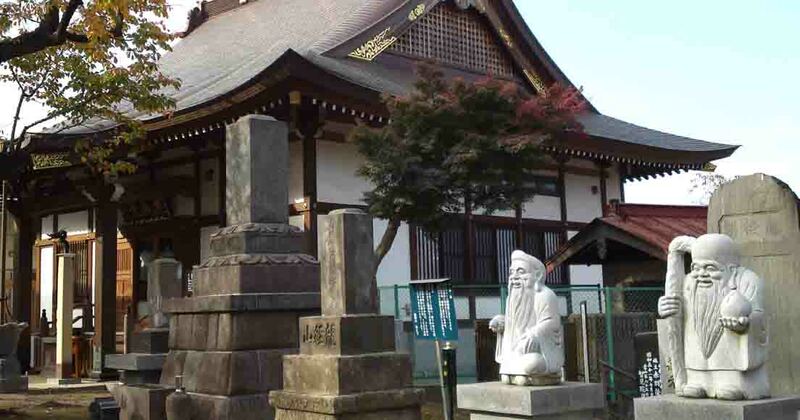 Several decades had passed after the Battle of Konodai, a salt dealer living in Katsushika county came to the place where Awa Jinja Shrine stood in Meiji Era and found a skull caught in vines. He removed them from the skull. At that time, a man appeared in front of the dealer and he thanked him for removing the veins and invited him to his home in Awa. It was about the Bon Festival in July. The dealer was treated to all kinds of delicacies at the man's house. 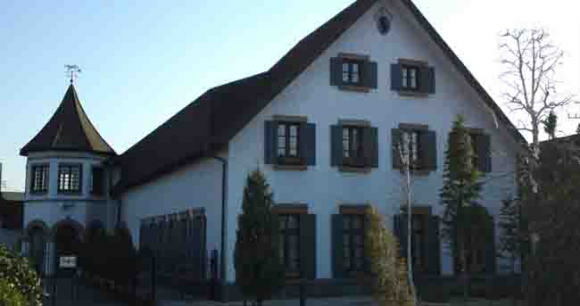 But the man was unsatisfied at the treatment since he was the ancestor of the family then he got angry with them. The dealer told him to go back to Katsushika. After he went back, he buried the skull for the repose of the man's soul. 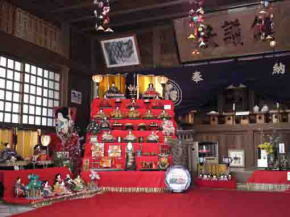 The man from Awa, then the shrine was called Awa Su Myojinsha Shrine. Moreover, it was said that the skull was Hirotsugu Satomi's. 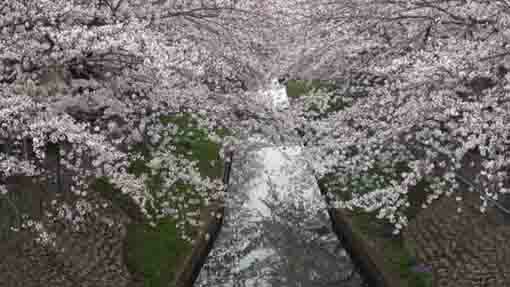 Anyway, Satomi Park in Konodai Ichikawa-shi stands on the remains of Konodaijo Castle. And Yonakiishi (the stone crying at night) related to a daughter of Hirotsugu Satomi and the Momorial Stone Tablets for Hirotsugu Satomi and the Samurais are preserved in the park. 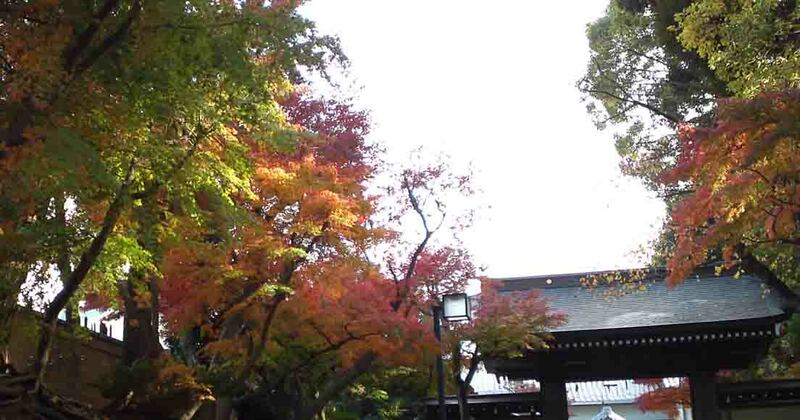 Awa Jinja Shrine has a great accessibility from both Narita and Haneda International Airport. 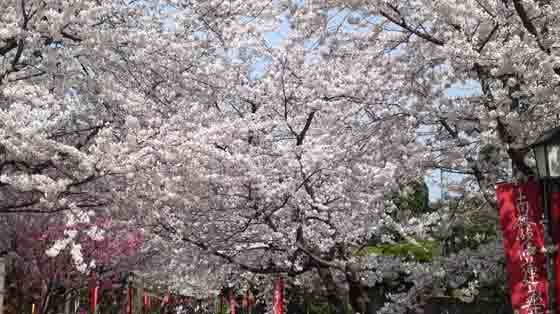 From Haneda International Airport, take Keikyu-line bound to Narita, and get off Keisei-Nakayama Sta or Onigoe Sta. 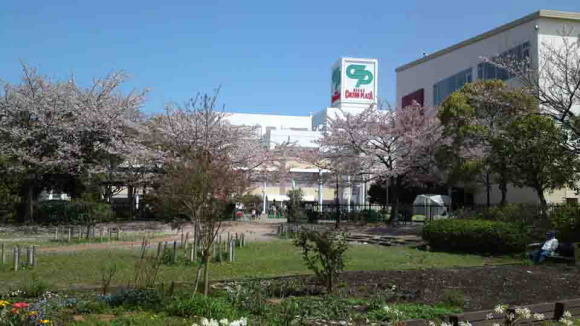 Take 4 minute walk from Keisei-Nakayama Sta, and take 6 minutes walk from Shimousa-Nakayama Sta.